Once again, the weather here in Michigan was a challenge in 2018. In January, the winter started cold and snowy, and then February became mild. We had more snow in April than we did in February. Coming into May we were 2 weeks behind in GDD (Growing Degree Days). Because of the late spring, we avoided a damaging May frost. This was about the only positive weather event. At blossom time, which was two weeks late, we had several days that were over 90 degrees. The blossoms on our mid-late and late varieties were heat-blasted and didn’t set fruit. Mother Nature showed us who was still the boss. What looked like a really big crop turned out to be one of our smallest in many years. The summer was hot and we caught up and ended up ahead in GDD. Another positive note was in our areas we had fairly timely rains, making our irrigation scheduling easier. The summer retail business at our farm market and u-pick was strong again. People are excited about blueberries! 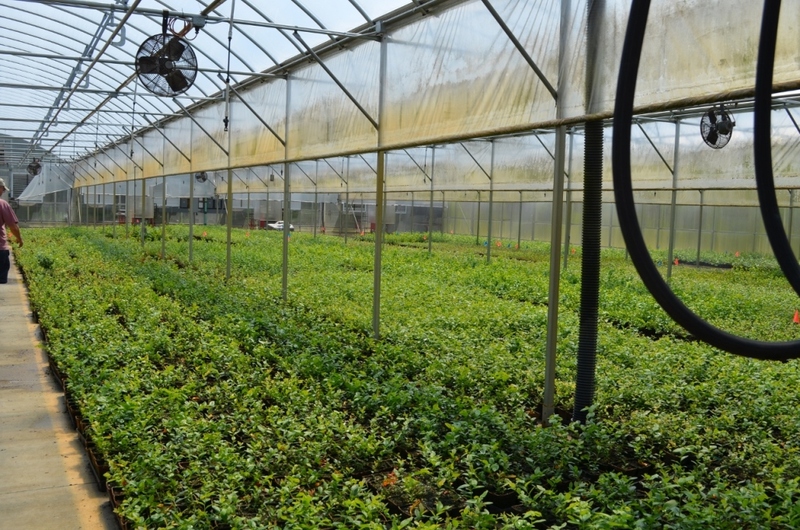 Let us help you plan and evaluate your blueberry operation. Don’t hesitate to contact us for information. 2019 starts our 61st year of our family run farm. For inventory availability and to place an order, please call 888-483-7431 or email sales@degrandchamps.com.